A recent Al Shabab-friendly attack piece against Omar Hammami was mostly denied by Abu Muhammed, Hammami's online "spokesman." 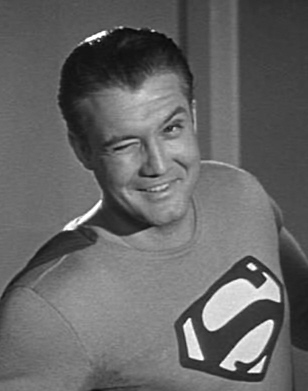 (Hey, Clark, I can't believe you just missed Superman again!) But Abu M did confirm one of the most shocking allegations in the document -- that Omar Hammami was not the author of the raps which made him something-like-famous. "Thank God the Shabab got those awful raps off my back," Abu M tweeted yesterday, slipping out of character for a moment. According to Abu M, Hammami only performed in the first video featuring Shabab raps, Ambush at Bardal. Not only were the raps written by another American jihadist (whom he referred to scornfully as Kid Rock), but everything following that, including the smash-hit Send me a Cruise, was performed by Kid Rock and not Hammami. In fairness, Al Shabab did apparently advertise the raps as featuring Hammami. But going back and listening to it, it's kind of obvious that the voice on "Send Me a Cruise" is not him. Which just goes to show, sometimes it pays to listen more closely. I don't think I ever attributed the song to Hammami in anything more than a snarky tweet, which is just dumb luck probably, but if I did, consider it retracted. Hammami's got enough black marks in his book, we can at least cross off a couple of musical atrocities.